everything!!!! we received it later in the evening and the ndelivery guy helped us get into the house . we took it out of the box,read the instructions and the directions .put it where we wanted it,used the remote ,and bam........we had beautiful warm blowing heat with all kinds of pretty fire scenes.all this is less than 15 minutes....awesome!!!!!!.. my neighbor two doors down one from a well known hardware store.ihelped him unload it took it into his house..two days later he got all the screws needed ,that werent there in the beginning,and then it didnt work......ours continues to work without any issues ,looks great,does its job,and displays two smaller items that are special to our family in the space provided above the heating portion.bottom line.i dont give a star rating very often but i will have and will give this heater a five star anytime any day!! thank you walmart. 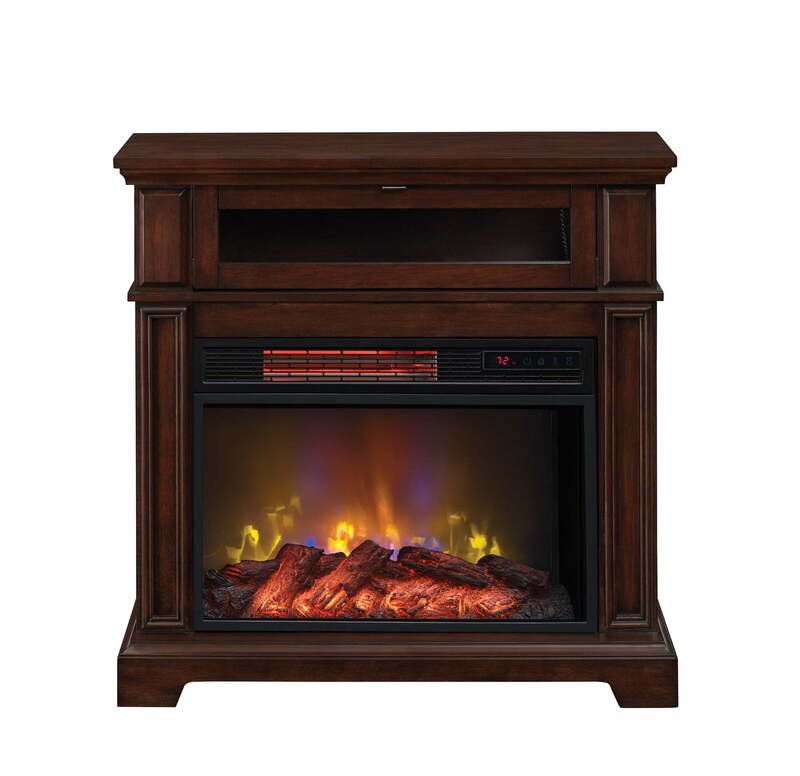 Tbook.com crawls the web to find the best prices and availability on products like ChimneyFree 40 Infrared Quartz Electric Fireplace, Meridian Cherry. This product is one of the more popular items we list which is why it is in our "hot deals" section. If you have any questions on this product, please give us a call at 734-971-1210 during the hours of 9am - 5pm EST for assistance. Thank you for shopping at Tbook.com, the Internet Department Store!